Have you checked out Animal Place’s new campaign website? 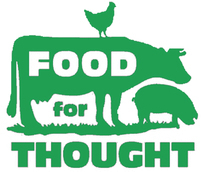 Food for Thought encourages animal shelters to adopt an animal friendly menu policy at shelter-sponsored events. Ask your local shelters to check out the website and take the survey. Kohlrabi – what interesting way did you use this last week? We grated ours over a salad. Be sure to peel off the tough skin. Ripbor Kale – ruffled leaves hold up well for making kale chips. Or do raw, sautéed or even juiced. Green “Golden Acres” Cabbage – a tender heirloom variety. Think salad, stir fry, cole slaw or kimchi! Sugar Snap Peas – that’s it for the peas this summer. We’re tearing them out and using the bed space for a new crop. Chioggia and red beets – chioggia beets have beautiful candycane stripes inside. 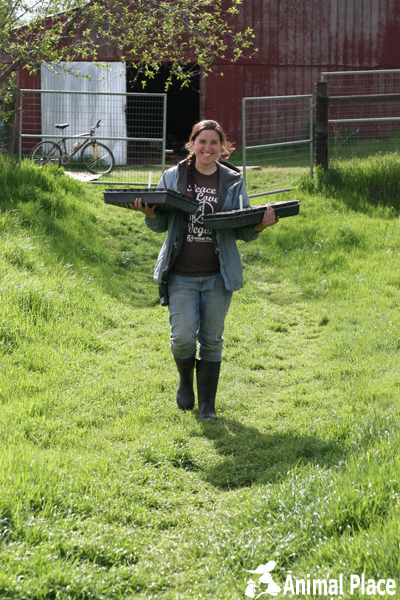 We’re looking for another farm intern for Sept – Oct, and possibly earlier. Please pass on the word to any aspiring farmers and activists who would like to learn and contribute to our veganic farm. Heat the olive oil in a large Dutch oven or stockpot over medium heat. Add the leeks and saute until softened, 3 – 5 minutes. Add the broccoli and saute, stirring frequently, until slightly softened, about 2 – 3 minutes more.Add the stock and bring to a simmer. Cover partially and cook until the vegetables are tender when pierced with a sharp knife, 15 – 20 minutes. Remove from the heat. In a blender or food processor, puree the soup in batches until smooth and return the soup to the pan. (Alternatively, process with a stick blender in the pan until smooth. Reheat the soup gently over medium heat. Season with salt and white pepper. 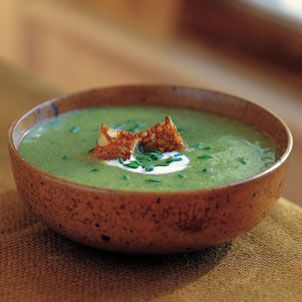 Ladle the soup into warmed bowls and garnish with the sour cream and chives. Serve immediately.